Hello friends! I decided to continue the series of urban giant cities and this time I chose a stylish futuristic city, the capital of Republic of Korea – Seoul. There are so many interesting sights and attractions, so I will separate my article into a couple of parts. Have a nice time and welcome to Seoul! Stunning modern skyscraper, located in the central part of Seoul, is one of the main symbols of the capital and it attracts thousands of tourists every day. In times of building Yuksam was considered as one the tallest buildings in the world and proudly carried this title for many years. Now the main skyscraper of South Korea represents a unique complex that gathered not one or two shopping centers – dozens of shops, boutiques, entertainment venues, restaurants and cafes are located on 63 spacious floors of the building. Tourists of all ages and incomes will find entertainments here for every taste. And the icing on the cake is underground aqua center located on the ground floor. You probably saw amazing 3D drawings that street artists draw on asphalt? In Seoul a whole museum is dedicated to this kind of art! 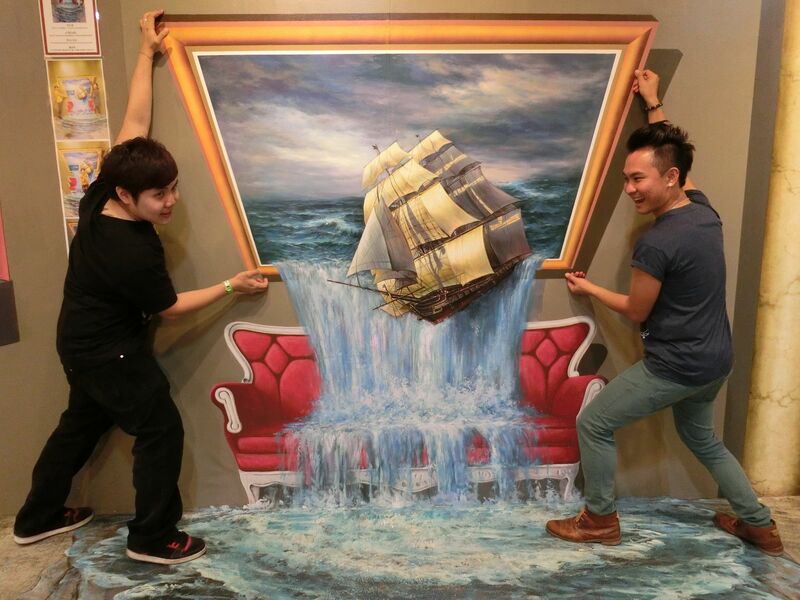 Gallery of optical illusions – is perhaps the only museum where pictures can not only be photographed, but also touched! All the drawings are created with such accurate calculation and skill that sometimes you can’t even believe that you look at painted elements – not real material objects. The best choice for visiting with children or with a company of friends. And in the end, traditionally, an attraction for lovers of history and architecture: you may feel the atmosphere of past centuries and learn more about the cultural heritage of South Korea in Changdeokgung palace. This stunning palace complex is only one of the 5 other royal buildings that has survived since ancient times – it is famous for its authentic, almost original appearance, stunning architecture of Joseon Dynasty style and the picturesque royal garden surrounding the whole complex.